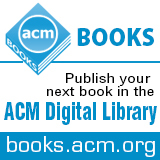 Welcome to the November 3, 2014 edition of ACM TechNews, providing timely information for IT professionals three times a week. Nearly 70 percent of voters are expected to cast paper ballots this week more than a decade after concerns about paper ballots caused a major national push for electronic voting in the United States. Many states and municipalities are abandoning the use of e-voting systems because the machines they purchased in the early 2000s using federal funds are now more than a decade old and are wearing out and there is no money available to replace them, says Carnegie Mellon University professor Michael Shamos. About half of the states that had adopted electronic voting are now moving back to paper. Verified Voting president Pamela Smith says although the issue has been raised in Congress, it is extremely unlikely further federal funds will be forthcoming to maintain e-voting machines in lieu of another major voting scandal such as the furor over certain paper ballots in the 2000 presidential election that drove the push for the original federal funding. Although the initial performance of e-voting machines was lackluster and security concerns have persisted, Shamos says they generally have performed well for the last several years. He expects the next step in e-voting will be a method for enabling citizens to vote using their cell phones. The Internet Archive, the organization behind the Wayback Machine, recently held an event at its San Francisco headquarters to show off some of its latest projects. Robert Miller, the Archive's director of books, unveiled a new portable book scanner that will enable the archive to scan books in the field rather than having to bring them to its old, stationary scanner. Roger Macdonald, director of the Television Archive, introduced the Philly Political Media Watch Project, a pilot program bringing together the Internet Archive, the Sunlight Foundation, Philadelphia's Committee of Seventy watchdog group, the Linguistic Data Consortium, and the University of Delaware's Center for Community Research and Service. The project is an effort to record political advertisements and the newscasts in which they initially appear to give journalists and researchers a means to evaluate the ads and the media's response to them. The event's third area of focus was music, with the Archive unveiling a physical listening room at its headquarters. The Archive is collaborating with major labels and other archives to preserve physical and digital music. "Preserving music is now urgent as tapes are disintegrating, disc formats are used less, and new Web-only music has blossomed," says Archive founder Brewster Kahle. The Pew Research Center and Elon University's Imagining the Internet Center recently conducted a survey of more than 1,600 computer and Internet experts on the future of cyberattacks and found most respondents believe there is a significant threat. More than 60 percent of respondents think that by 2025, a major cyberattack will have caused widespread harm to a nation's security and capacity to defend itself and its people. "The majority opinion here is that these attacks will increase and that lots of institutions, including major government institutions, will be at risk," says Pew Research Internet Project director Lee Rainie. Although some experts think a Cold War-like dynamic of mutually assured destruction will inhibit international cyberwarfare, others see more danger to financial systems than to other essential infrastructure. Meanwhile, others say the threats themselves "are being exaggerated by people who might profit most from creating an atmosphere of fear," says Elon University researcher Janna Anderson. "While, in principle, all systems are crackable, it is also possible to embed security far more deeply in the future Internet than it is in the present Internet environment," says Syracuse University professor Lee McKnight. Researchers from the Massachusetts Institute of Technology's (MIT) Computer Science and Artificial Intelligence Laboratory presented Chisel, a system that lets programmers identify sections of their code that can tolerate small errors, at the recent Object-Oriented Programming, Systems, Languages and Applications (OOPSLA) conference in Portland, OR. Chisel determines which program instructions to assign to unreliable hardware components in order to maximize energy savings while still meeting the programmers' accuracy requirements. Chisel is based on a paper presented at last year's OOPSLA conference, which described a programming language called Rely that provides the mechanism for specifying accuracy requirements. "One of the observations from all of our previous research was that usually, the computations we analyzed spent most of their time on one or several functions that were really computationally intensive," says MIT graduate student Sasa Misailovic, author of the paper. The researchers developed three separate mathematical expressions that describe the accuracy of computation, reliability of instruction execution, and energy savings as functions of the individual instructions. "I think it's brilliant work," says University of Washington professor Luis Ceze. "All the trends point to future hardware being unreliable, because that's one way of making it more energy-efficient and faster." Indiana University Bloomington (IU Bloomington) researchers are developing Middleware for Data-Intensive Analytics and Science, software that will enable scalable applications with the abilities of high-performance computing systems and the functionality of open source storage and large-scale processing clusters on community hardware. "Our project will integrate features of traditional high-performance computing, such as scientific libraries, and communication and resource management middleware, with a rich set of capabilities already found in the commercial big data ecosystem," says IU Bloomington professor Geoffrey Fox. The five-year project, backed by a $5-million grant from the U.S. National Science Foundation, will focus on major data challenges in biomolecular simulations, network and computational social science, epidemiology, computer vision, spatial geographical information systems, remote sensing for polar science, and pathology informatics. "The project libraries created with this funding will have the same beneficial impact on data analytics that other scientific libraries have had for supercomputer simulations, and they will be implemented to be scalable and interoperable across a range of computing systems including clouds, clusters, and supercomputers," Fox says. He says the scientific libraries are comparable to existing parallel solution applications such as the Portable, Extensible Toolkit for Scientific Computing. "Our goal is to create software abstractions to help connect these communities together with applications in different scientific fields, letting us collaborate and use other communities' tools without having to understand all of their details," Fox says. The U.S. Presidential Commission on Election Administration recently released a report indicating U.S. election officials are facing an "impending crisis" as they try to replace the aging voting systems they purchased after Florida's flawed 2000 election. Meanwhile, Rice University researchers are developing the Secure, Transparent, Auditable and Reliable (STAR) voting system, an unhackable voting system they say will be less expensive than existing electronic-voting machines but easy for voters to use. The researchers received a three-year, $1.2-million U.S. National Science Foundation grant that will enable them to examine several security and usability issues while they are testing the STAR system. "Voting is too important to experiment with, so you need to work out all the kinks before you put anything into the polls during a real election," says Rice professor Dan Wallach. "I'd like to think we will have something ready in time to be used in the midterm elections in 2018." He notes the researchers also are working to build the system around commercially available tablet computers, a decision that could result in a system that is about half the price of conventional e-voting systems. Four out of five programmers are now using, or recently have used, open source development tools, estimates Forrester Research's Jeffrey Hammond. He says this indicates "open source is taking over. This is a golden age for developers." Forrester, in conjunction with Black Duck Software and North Bridge Venture Partners, conducted a survey of more than 1,400 programmers and found 84 percent now use open source software. The survey included developers from both open source and proprietary companies. Hammond says most programmers switch to open source because they perceive it as having better performance and reliability. "Open source used to be popular because of the lower cost," he says. "Now the cost of tools is the least important element for developers." The survey also indicates the three industries expected to be impacted the most by open source software are education, government, and healthcare. Hammond cites big data and NoSQL as areas where open source has become software groundbreakers. Open source solutions are frequently preferred because they lack the obstacles associated with acquiring proprietary software. The survey suggests open source is leading in other fields as well, including cloud/virtualization, content management systems, mobile, security, and network management. Stanford University researchers have developed a system designed to help people translate text faster and more accurately than is currently possible. The system relies on a hybrid approach that merges human and machine intelligence, and it hopes to enter the $34-billion-per-year global market for professional translation services. Stanford computer science graduate student Spence Green and Christopher Manning, a professor of linguistics and computer science, presented their hybrid approach to translation at two computer science conferences in October. "Our system augments the human translator and increases efficiency, accuracy, and productivity," Green says. The system involves providing human translators with an interface that resembles a word processor. When the translator begins typing a translation, the system offers suggestions for key words and phrases that could have multiple meanings. The system is able to revise its suggestions in real time as the translator works, fine-tuning the software and improving the quality of its assistance. At the conferences, the researchers discussed how the system's interface design provides higher-quality final translations and how feedback from human translators is used to correct mistakes and even adapt translations to their style. Purdue University researchers recently led a U.S. National Science Foundation-funded project, "User-Centric Risk Communication and Control on Mobile Devices," investigating computer security and focusing on user control of security features in mobile systems. "Although strong security measures are in place for most mobile systems, the area where these systems often fail is the reliance on the user to make decisions that impact the security of a device," the researchers say. Most users do not pay attention to unwanted access to their personal information, instead ignoring security warnings and consenting to all app permissions. "In our studies, we found that there exist correlations between the quality of an app and the average rating from users, as well as the ratio of negative comments about security and privacy," says Purdue professor Luo Si. The researchers say assigning a risk score to each app and displaying a summary of that information may reduce unwarranted access to personal information by making the risk more transparent and by giving incentive to developers to use less personal information. The researchers also found risk scores could lead to more user curiosity about security-related information, thereby reducing how often security warnings are disregarded. A new proposal for using "knowledge planes" to help ease Internet traffic jams will not require extensive upgrades to network hardware. A team of researchers from Cornell University, the University of Southern California, and the University of Massachusetts says their application will work with tools that are already available in Internet routers. Called IN-CONTROL (Programmable Inter-Domain Observation and Control), the application will collect information on how networks are organized, and its database will help network operators select the best paths, relay around faults, or avoid untrustworthy networks. IN-CONTROL will build on ideas from Frenetic, a programming language developed by Cornell professor Nate Foster that enables network programmers to write commands for what they want routers to do without understanding the details of the hardware. Security mechanisms planned for IN-CONTROL will help keep network information from being exposed. In addition, the team plans to distribute the database across the Internet for security and scalability. The researchers say the promise of improved performance should convince network operators to support the plan. Cybercrimes are estimated to cost the European economy tens of billions of euros annually, the bulk of which stem from the theft of credit card data. To curb such activity, the European Union has funded a project called Server-driven Outbound Web-application Sandboxing (WEBSAND). EU researchers built solutions based on "sandboxes," or restrictive mechanisms that separate server systems from suspicious code, while also safeguarding information flows between servers and users' browsers. "The main success of WEBSAND has been to show developers how to make security a default part of the system, rather than an afterthought," says project coordinator Martin Johns. "We have built a lot of solutions directly on the server side that enforce the security we want for certain areas." The researchers sought to build a modular, easy-to-use framework that enables developers at various skill levels to build applications that are inherently secure. WEBSAND also developed a set of browser extensions for end users, including CSFIRE, which is "invisible" to users because it does not interfere with the functionality of the applications they are using. In addition, WEBSAND designed a lightweight add-on to the client side of browsers that prevents DNS Rebinding attacks. The project's core partners are now working with such Internet standards to persuade browser companies to adopt WEBSAND technology. Biz Foundry's Tennessee Code Academy wants to get more young girls thinking about computer science. Tennessee Code Academy launched its "100 Girls of Code" program last summer, offering one-day workshops led by female instructors in nine cities across the state. The program exceeded its goal of attracting 100 attendees by 50 percent, and the 150 participants came from all socioeconomic levels. The girls, ranging in age from 12 to 18, learned the basics of computer programming, website development, and gaming design. Ninety percent of the girls said they had a positive experience, and 22 percent said they enjoyed programming enough to consider learning more or consider pursuing a career in computer science. A partnership with Tennessee Technological University (TTU) will enable the Tennessee Code Academy to offer scholarships to some of the 100 Girls of Code participants. Tennessee Code Academy is looking to expand the program to eight states in the Southeast. TTU professor Martha Kosa expects the university's partnership with 100 Girls of Code will encourage more female students in Tennessee to study computer science, and she notes it also will be a good opportunity for TTU students to serve as mentors.